John Keble today is best remembered for the Oxford college founded in his memory; his role in the seminal Oxford Movement, and for the hymns that he wrote and which are still sung today. Both John Keble and his brother Tom were educated at Corpus Christi College, Oxford and followed their father into the church. 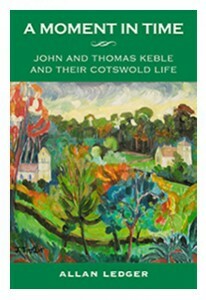 John Keble was curate of the Cotswold villages of Eastleach, Southrop and Coln St Aldwyn, with his younger brother Tom. John left Fairford and the Cotswolds to become vicar of Hursley in Hampshire where he stayed until his death. His brother Tom became vicar of Bisley, near Stroud. The author lives in the Cotswolds and his interest in the Keble family lies in the villages of Eastleach and Southrop near his home. He has written a fascinating, informative and highly researched account of a great and distinguished family, whose legacy continues today. The author is well-known in the Cotswold and has excellent contacts with magazines in Gloucestershire and Oxford. Reviews are expected for a significant contribution to John Keble and his family. Vine House Distribution Ltd. distributes this title.